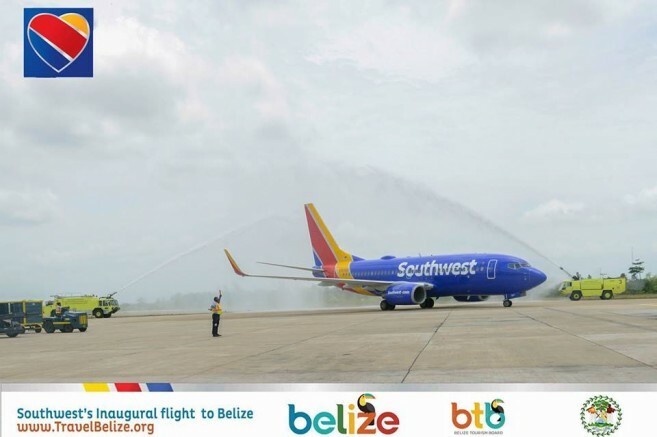 On Sunday, June 4th, Belize welcomed Southwest Airlines’ first daily direct flight from Fort Lauderdale, Florida, USA. This new addition came after Southwest introduced its non-stop Denver, Colorado to Belize City flight in March 2017, and regular non-stop service from Hobby International in Houston to Belize in 2015. 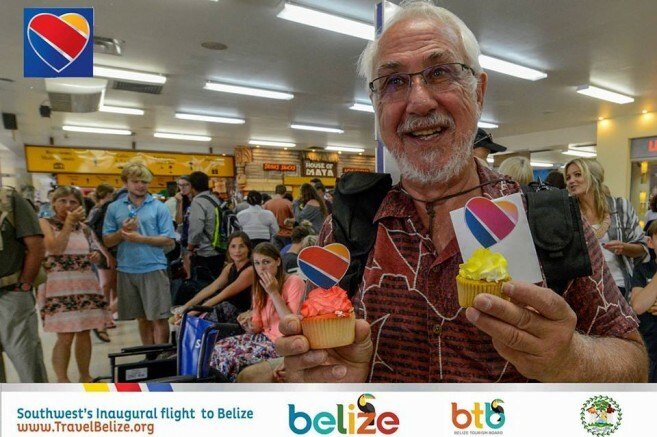 With dozens of passengers boarding the charter flight to Belize, the Belize Tourism Board (BTB) made sure to warmly welcome tourists at the Philip Goldson International Airport. The flight will operate daily from a new, five-gate international Concourse A at Broward County's Fort Lauderdale-Hollywood International Airport Terminal 1, which was recently opened for the summer travel season. 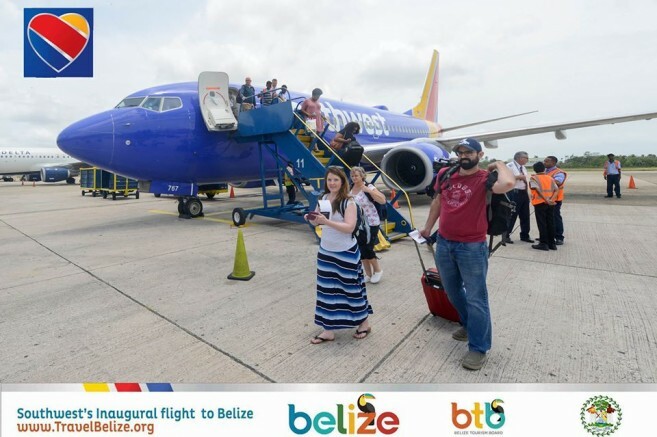 Not only will the new flight make it easier for travelers to enjoy the beauty of Belize, but it is expected to enhance the country’s tourism industry. To mark the grand occasion, two inaugural ceremonies were held, one in Ft. Lauderdale prior to the flight departure and the other in Belize. Minister of Tourism and Civil Aviation Honorable Manuel Heredia was honored to deliver remarks at the Ft. Lauderdale ceremony. "Today marks a new milestone for our country, as we bolster our presence in North America, we fortify our partnership with Southwest Airlines. This new service to Belize is a resounding reaffirmation that Belize continues to be a growing, viable and a must-go-to destination in the Caribbean and Latin American Travel Market. I am happy to say that we remain committed, and today serves as yet another example of how Team Belize is ensuring that our jewel remains accessible to the North American market and beyond,” said Heredia. In Belize, the BTB organized a brief ceremony, which included a short addresses by Jorge Espat, Chief Executive Officer of the Belize Airport Concession Company, Adrienne Galanek, Chargé d'Affairs at the U.S. Embassy in Belize, Yashin Dujon, CEO in the Ministry of Tourism and Civil Aviation, and Linda Neal, Southwest Station Manager. 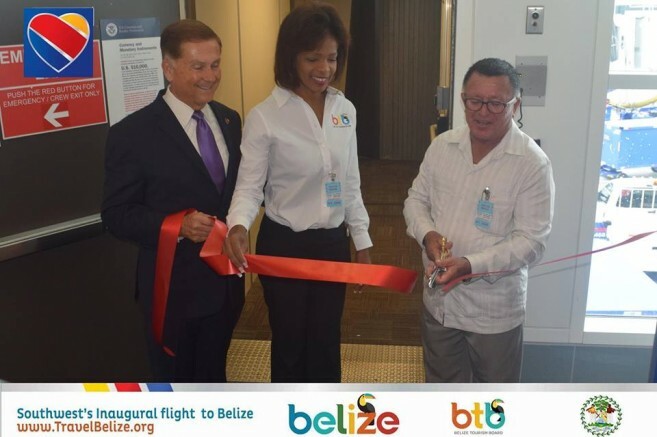 The ceremony also included a ribbon-cutting ceremony, a water cannon salute upon the aircraft's arrival, a cultural presentation by the Precision Dance Group, and giveaways to both arriving and departing passengers, courtesy of BTB, Victoria House and Maya Island Air. 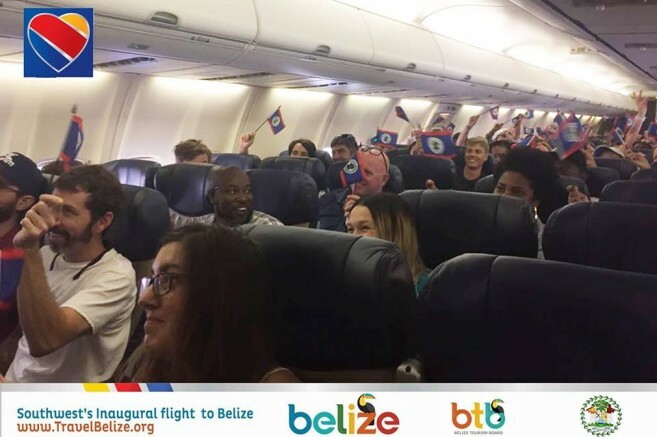 Director of Tourism Karen Bevans says that Belize should greatly benefit from Southwest’s new direct flight, and anticipates an increase in tourist arrivals. "It was a significant success. I think there was over 30% growth in tourism in 2016, and I would say that it was record breaking because of the Southwest launch from Houston. Now that Ft. Lauderdale is highly demanded by Belizeans, we are expecting similar growth in tourism. We are co-marketing with Southwest, we partner for different marketing initiatives, today as you can see it is a celebration of the different destinations,” said Bevans. Brad Hawkins, Spokesman, Southwest Airlines-Dallas said that Southwest Airlines differs from other leading airlines. “We are the largest airline in the United States with low fares. We have opened a new facility this weekend in Fort Lauderdale that is easier and cheaper than Miami, which brings the value of two free checked bags and no change fees for Southwest travelers in the United States. We are the last airline that doesn’t charge for bags and we’re very proud of it,” said Hawkins. With the new departure fees, many visitors are wondering if there will be additional costs when traveling to Belize. However, Bevans assured that there should not be any added costs, as taxes are included in their plane ticket. "From the results I am seeing already for May, I am not seeing any impact as yet. The beauty about it is that the taxes are paid within the ticket cost. It is just one cost for a direct route or direct flight from Ft. Lauderdale to Belize or from anywhere to Belize and you just get a total cost. This way, you wouldn't know what the departure tax is or any tax is. We are happy because of competition and the rates are going down so the increase in departure tax isn't very obvious,” said Bevans. As Belize welcomes this new daily flight from Southwest, the airline continues to fly from Belize to Denver, Colorado on Saturdays. In addition, Southwest also offers flights from Ft. Lauderdale to Grand Cayman Islands, Cancun, Mexico and in Montego Bay, Jamaica.